You can change your home, but you cannot change your view!! 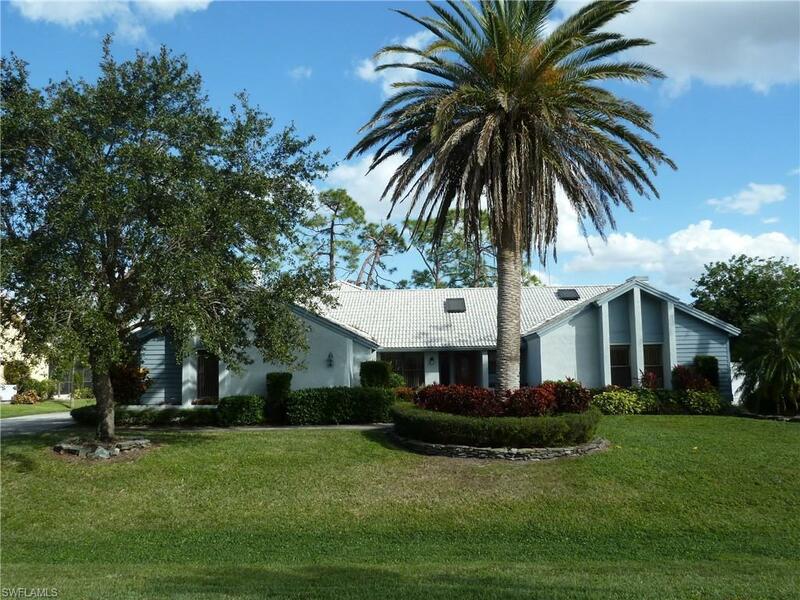 Come and take a look at the beautiful expansive golf course views from this property. Hone looks across FOUR fairways including the lovely landscaped water feature of hole #3 on the Long Mean. Home has over 3000 square feet with a split bedroom floor plan, great room, formal dining, large master walk-in closet, tile roof, pool, and a bonus loft area. Fiddlesticks is a low density, private equity golf community with 36 holes of golf, full practice facility, clubhouse with fine dining, 8 har-tru lighted tennis courts, staffed fitness center, New Pool & Cabana, very active social calendar. Great location close to shopping, restaurants, entertainment, ball parks, airport and I-75. Equity membership fee due at closing.